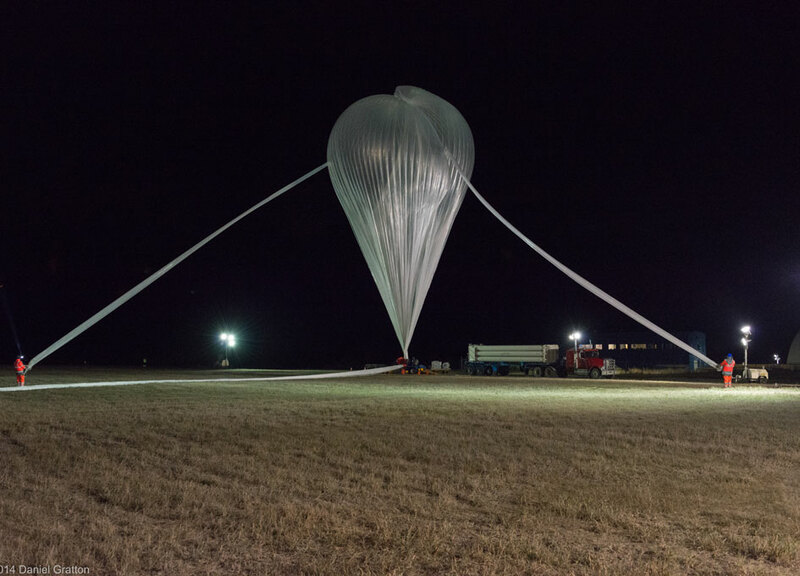 Stratospheric balloon launched from the base in Timmins, Ontario in 2014. Credit: Canadian Space Agency. This week the Canadian Space Agency (CSA) issued an announcement of opportunity (AO) for researchers to participate in a stratospheric balloon flight in Alice Springs, Australia in April 2017. The AO is part of the Flight for the Advancement of Science and Technology (FAST) program. The CSA will award up to two grants. The flights are part of an agreement previously reached with the Centre national d’études spatiales (CNES) of France (the French space agency) in 2011. According to the CSA researchers must select at least one of the following research disciplines and associated identified research priorities for their project. Satellite engineering: Satellite and spacecraft systems, components, environments and operations; system engineering techniques; mechanical design; communication system engineering. Space life science: Research that has as main objective to better understand, or characterize and mitigate the risks to humans associated with spaceflight, and develop novel countermeasures. We welcome the use of research models and recognize that the development of improved in situ bioanalysis, bio imaging and biomonitoring is critical to accomplish our goals. Strategies against those risks, or to develop improved diagnostic or treatment techniques. Space astronomy: Astronomical investigations and development of prototypes of astronomical instruments that address space science objectives identified in the Canadian Astronomical Society (CASCA) Long Range Plan and mid-term review (e.g. dark energy, exoplanets, wide-field UV-visible-infrared imaging, high-energy astrophysics, cosmology, etc.). Planetary exploration: Planetary science and technology investigations that address objectives identified in the 2009 Canadian Scientific Priorities for the Global Exploration Strategy document (i.e. the 6th Canadian Space Exploration Workshop report). – Measurements, using innovative instruments that show promise for future satellite missions, for the purpose of demonstrating the capabilities of the instrument(s) and the scientific value of the observations. Measurements, using innovative instruments that show promise for future satellite missions, for the purpose of demonstrating the capabilities of the instrument(s) and the scientific value of the observations. The total budget for this AO is $150,000 with a maximum grant award of $75,000. The AO is open only to Canadian post-secondary institutions. The deadline to apply is October 28, 2016.